The name of my subject in this painting also happens to be the name of a famous football coach. I have never had so many hits on my website! Even though this isn't the famous football coach, it does make me appreciate his very uncommon name. 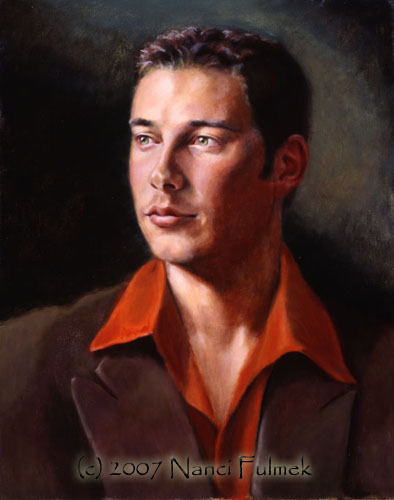 Kyle here was also painted from life, approximately 40 hours.